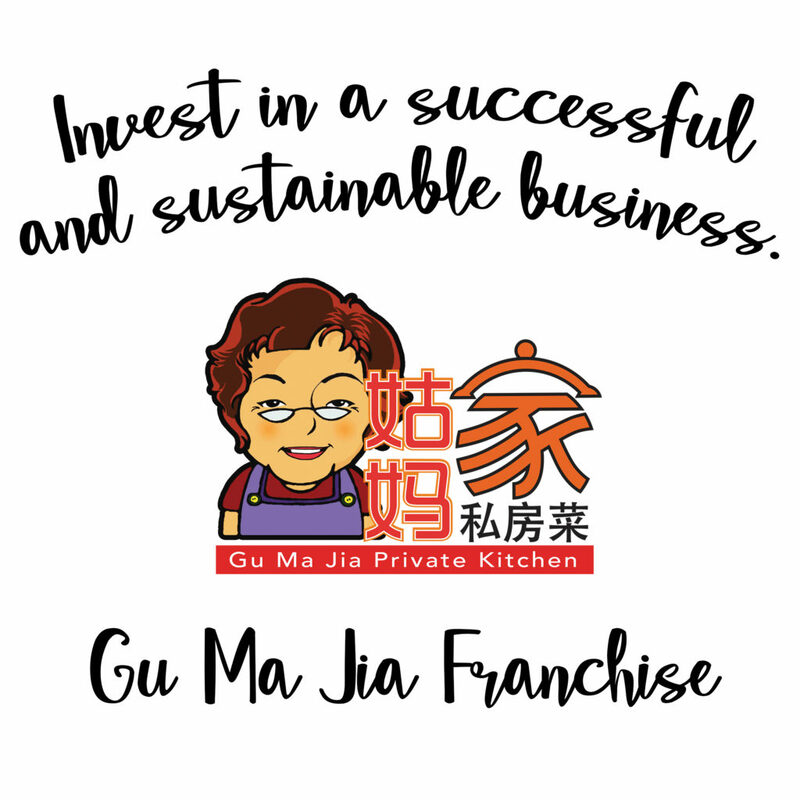 Own a Gu Ma Jia Franchise today! A well-loved reputable restaurant brand with more than 9 years presence in Singapore market, it is an award-winning homegrown brand famous for its Signature Assam Fish Head with Gu Ma’s unique secret recipe that is a must-try for local diners locally and overseas visitors. It has become a first-stop for overseas visitors to have Gu Ma Jia’s Signature Assam Fish Head when they arrive in Singapore! Share our vision of providing authentic, nutritious, homely food cooked with love and care for our patrons. When you own a Gu Ma Jia Franchise, you are helping to spread our love and passion through the good food we serve. Full Restaurant Concept, Single Unit, Multiple Units and Kiosk Franchise Models are available for your selection. Training and support, freshly made dishes and high-quality, visible marketing and branding together with strong media relations and publicity support will be given to the franchisees to ensure smooth operation, immediate awareness and assist the franchisees to success and profit earning.